The League of Friends of St Monica’s Hospital have been awarded a prestigious regional community award. 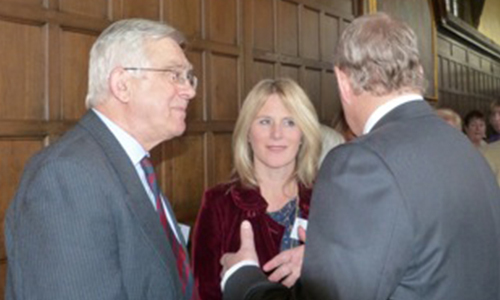 The organisation, which was set up in 1969 to raise funds for extra facilities, and to arrange for volunteers to work in the hospital providing tea and coffee and company for patients, is the latest recipient of The Duke of York Community Initiative Award. 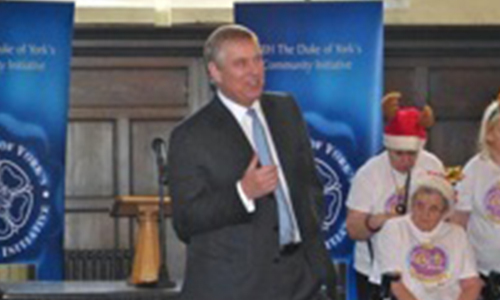 His Royal Highness The Duke of York founded the initiative in 1998, primarily and actively encouraging the development of community spirit, individual leadership and initiatives in Yorkshire and  the Humber. The initiative supports projects through a dedicated award scheme and recognition of excellence. Its principal aim is to foster and increase community spirit throughout Yorkshire, and is only awarded to community schemes of outstanding merit which meet the rigorous and robust assessment criteria. 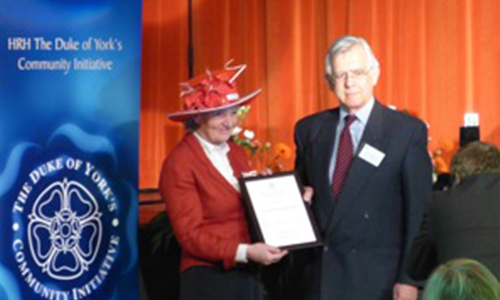 The League of Friends of St Monica’s Hospital received its award from The Lord Lieutenant of the East Riding of Yorkshire, the Hon Susan Cunliffe-Lister who also read a personal message from The Duke of York, who was unable to attend the Ceremony because of the thick fog which was widespread across the country. In 1893 St Monica’s Cottage Hospital was built at the expense of Mrs Katherine Love. In 1936, at the first Annual General Meeting after the death of Mrs Love, a letter from her solicitor was read stating that the beneficiaries would like to make a Gift of the Hospital to a properly constituted Board of Trustees. The condition of the gift was that the hospital should continue to be used as such for the benefit of the Town and District. On 5 July 1948 St Monica’s Hospital was taken over by the State after being a voluntary hospital since its foundation. The first meeting of a group of people interested in the hospital was held on 10 November 1969. The main topic was the provision of a Physiotherapy Unit for which the health authority had no funds. After the meeting an appeal was opened, which was successful and the new Physiotheraphy unit was opened on 6 November 1970. After the Physiotherapy unit was established the Friends soon found other ways in which they could help the patients and staff of the hospital both through fund-raising and through providing a team of volunteers to work in the hospital, taking drinks to patients and their visitors, reading newspapers to them and befriending those who welcome some company. Despite changes within the NHS over the years St Monica’s Hospital has continued to serve the people of Easingwold an over 20 surrounding villages. The benefits to the community of having even a small local hospital are considerable. The active and continuing interest of the Friends of St Monica’s Hospital has done much to convince the health authorities of the value of this local institution.